Yesterday, Institute of Mums surveyed 1,162 mums online about their voting intentions ahead of tomorrow’s General Election. The good news is that turnout among mums should be high, with 93% planning to vote, and less than 1% planning to spoil their ballot paper. Nevertheless, with over one quarter of mums (27%) yet to decide which party to vote for, it would seem that the election is still very much anyone’s to win. Among those that have made up their minds, Labour emerges as the clear winner, securing 58% of the mummy vote; the Tories, by contrast, capture just 23% of the vote. It is when we look at the undecideds, however, that things start to get interesting. Here, the result is much less clear-cut, with exactly half of the mums in this group questioning whether to vote for the Conservatives or the Liberal Democrats. It would seem that there are a lot of disillusioned ex-Tory-voting mums out there who are struggling to find a candidate worthy of their vote. And if some of these mums were looking for a reason to vote Labour, former shadow home secretary Diane Abbott’s abysmal interview with Dermot Murnaghan might just have given them reason to stop looking. As it currently stands, only two fifths of the undecideds (43%) told us that that they are considering voting Labour. 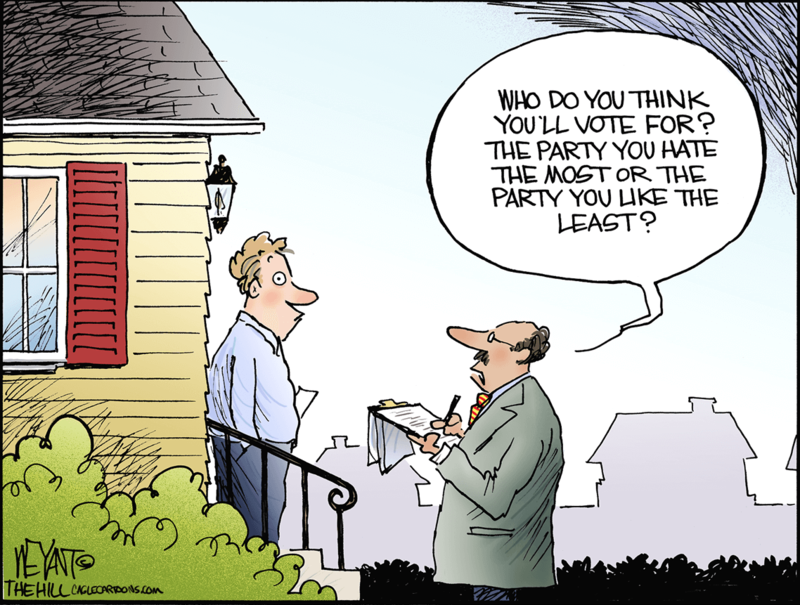 Many of these undecided voters have taken to the Internet to try to help them make up their minds. 63% of mums say they have taken a quiz on social media aimed at helping them decide which party to vote for, rising to 72% among the undecideds. Yet for many, the results suggest the party most aligned with their views is the Conservative Party – which probably isn’t helpful when so many view Theresa May as the worst Prime Minister of their lifetime. Almost two fifths (39%) of the mums in our survey placed Theresa May at the bottom of the PM league tables. Margaret Thatcher didn’t fare very well either, coming in second-last place. By contrast, Tony Blair emerged as mums’ favourite prime minister, closely followed by Gordon Brown in second place. Third was John Major, with David Cameron in fourth place. How these figures translate into seats remains to be seen. What is clear though is that mums are not happy with the current choices on offer. Over four fifths (84%) felt that the current government doesn’t have their children’s best wishes at heart, with a similar number (83%) of the opinion that politicians largely ignore the enormous contribution that mums make to the UK economy. And perhaps unsurprisingly, only 10% felt that politicians are good at engaging with mums and the issues that matter to them, with many suggesting that MPs should start visiting schools and nurseries in order to get a better handle on issues that matter to mums. It stands to reason that many mums would like to see more women elected to Parliament and in top roles. But this is not driving their decision about who to vote for in tomorrow’s election. They would rather elect MPs who understand the key issues affecting mums and their families, than worry about their gender. They are looking for answers about the future of the NHS, reduced class sizes in our schools and greater transparency and accountability concerning issues that matter to them, rather than seeking to elect someone like them. In other words, all they want is the right woman – or man – for the job.